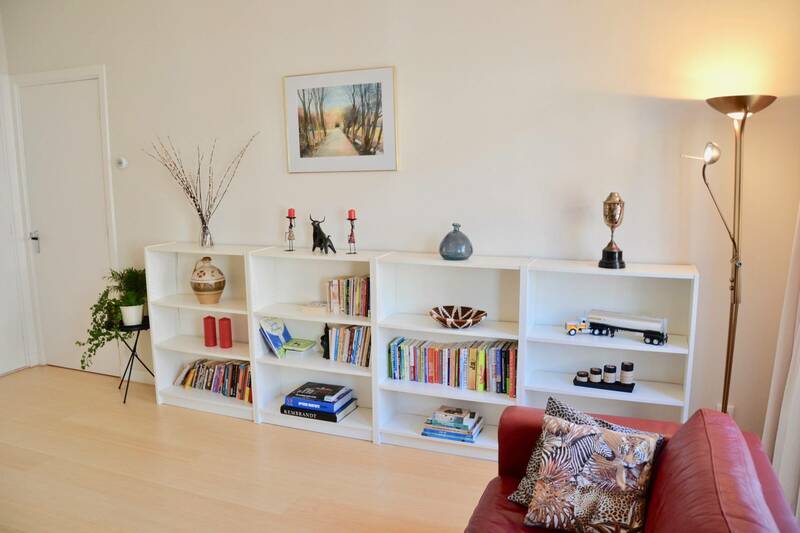 A beautiful and bright 4-room apartment of ca. 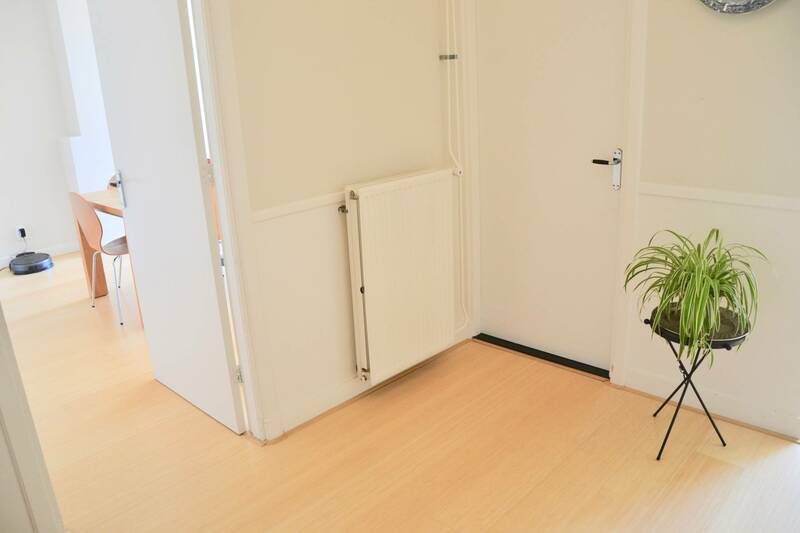 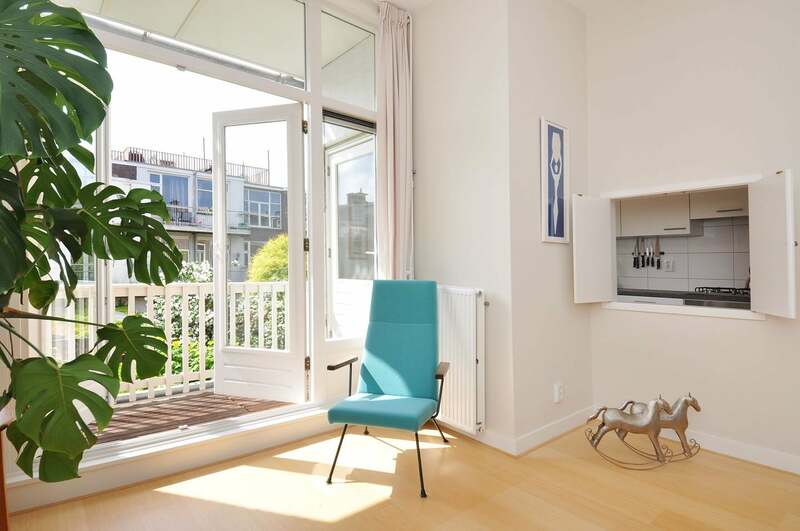 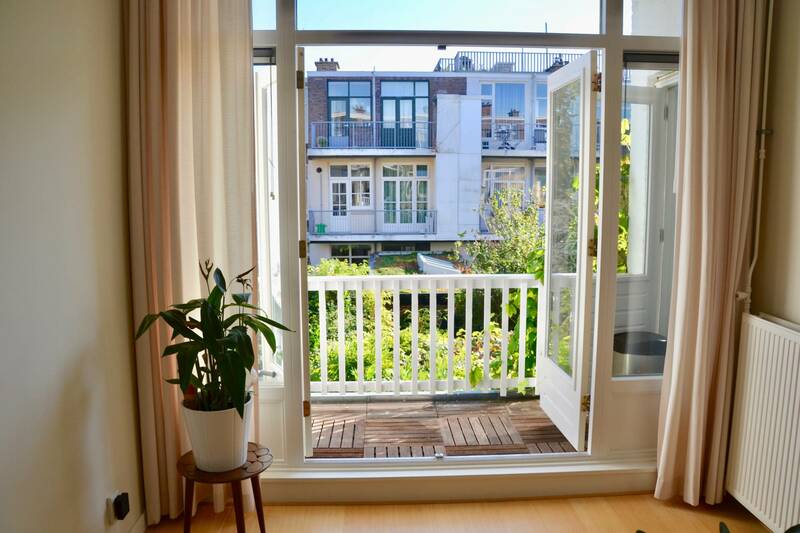 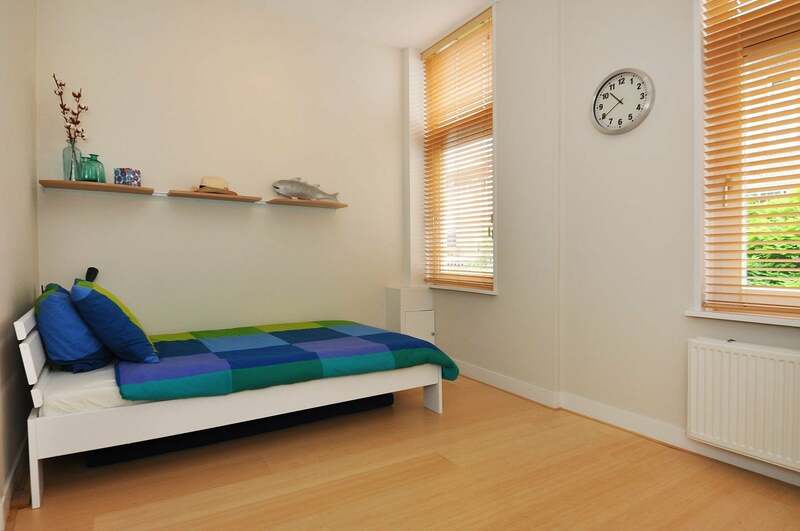 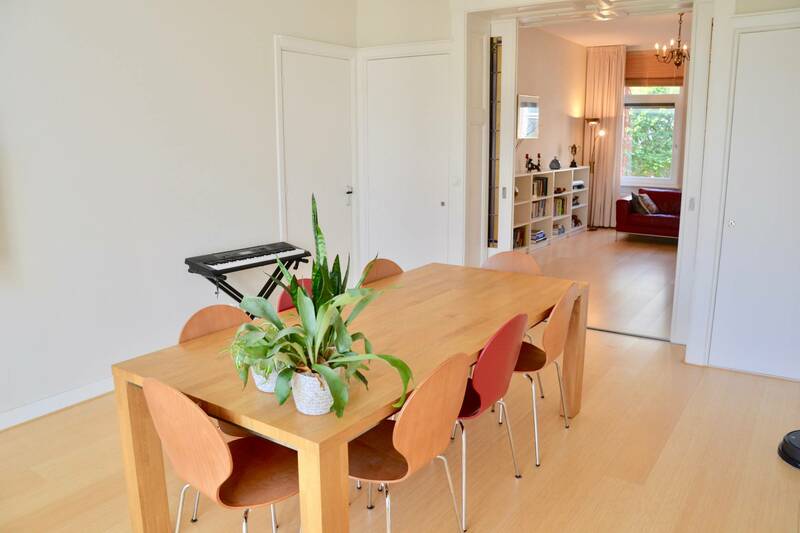 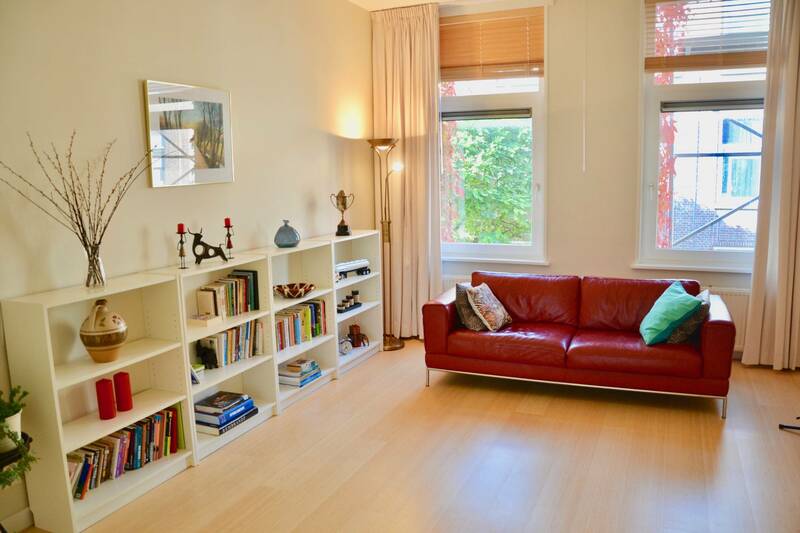 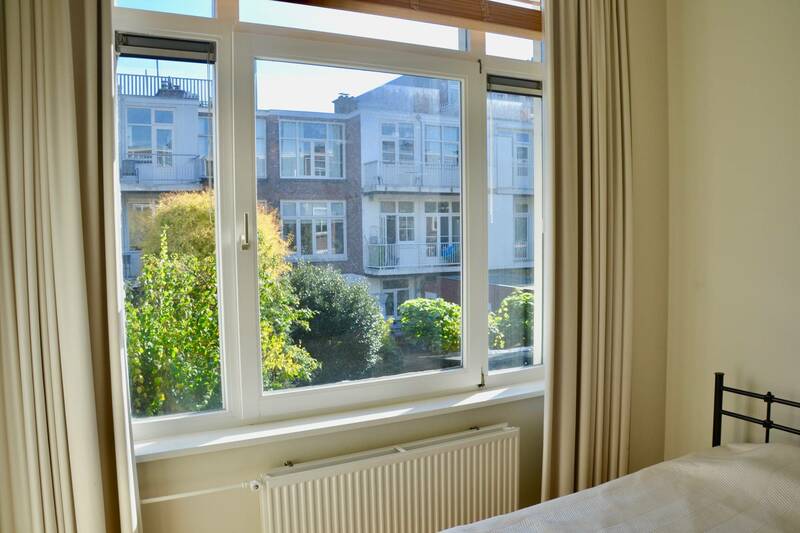 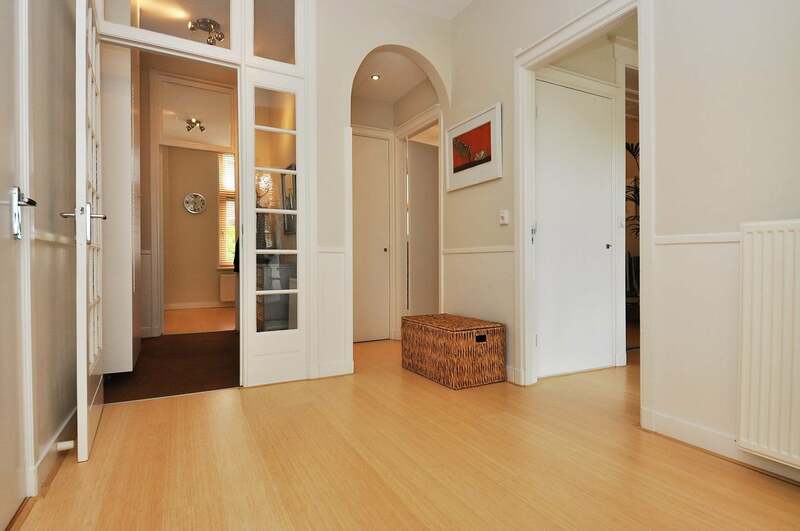 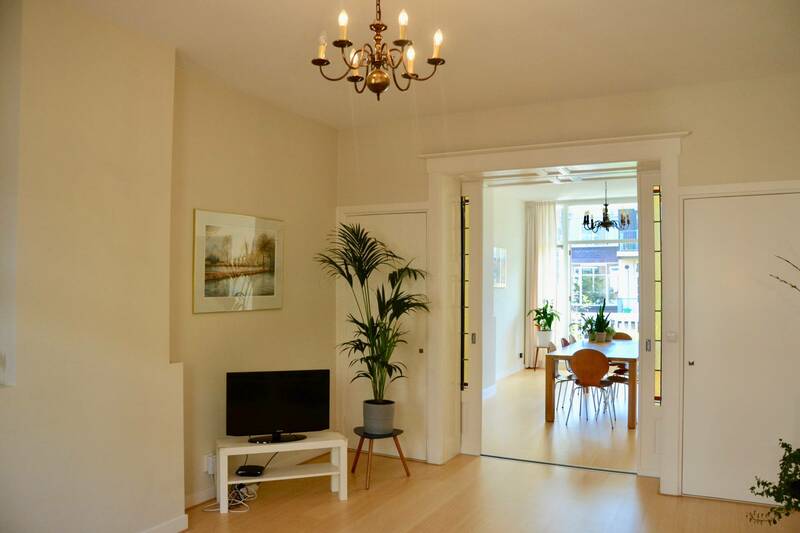 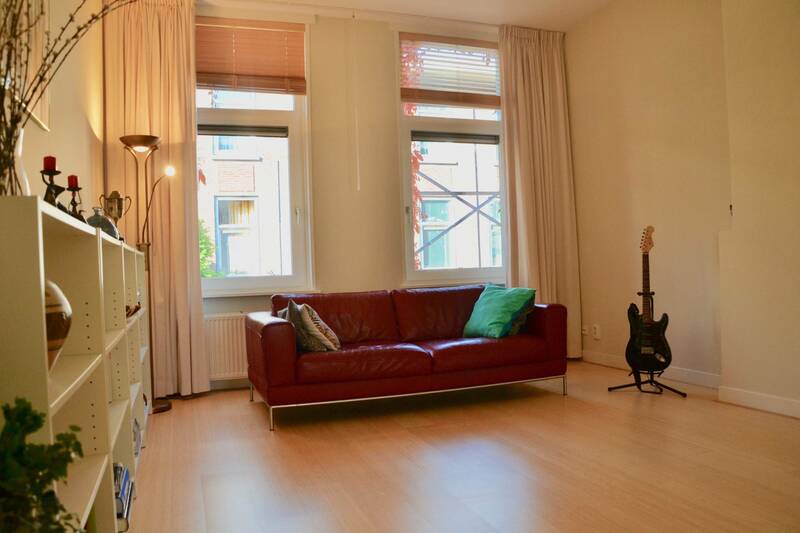 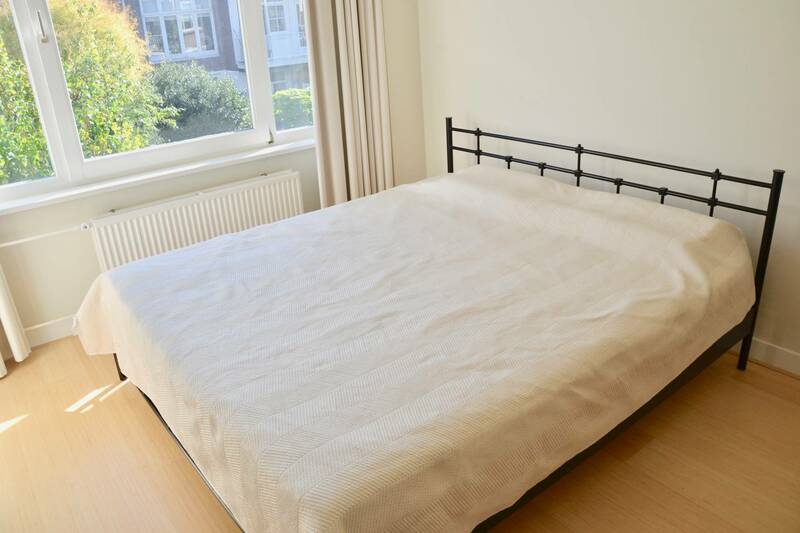 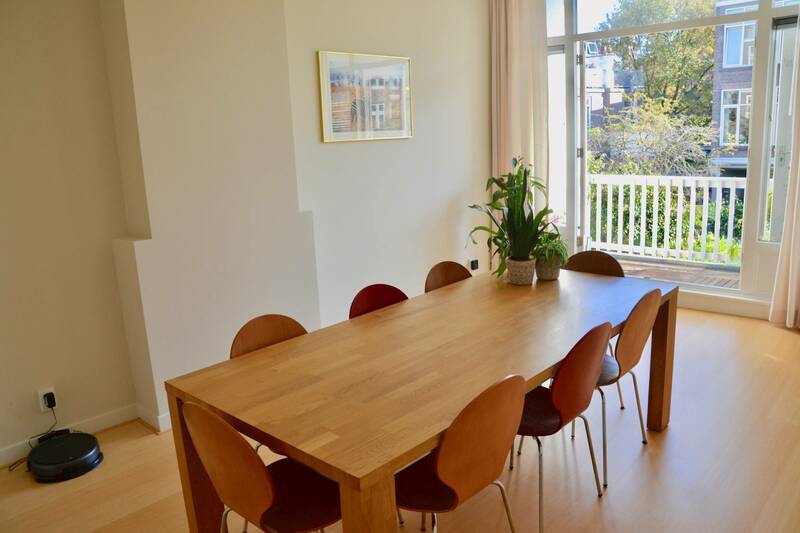 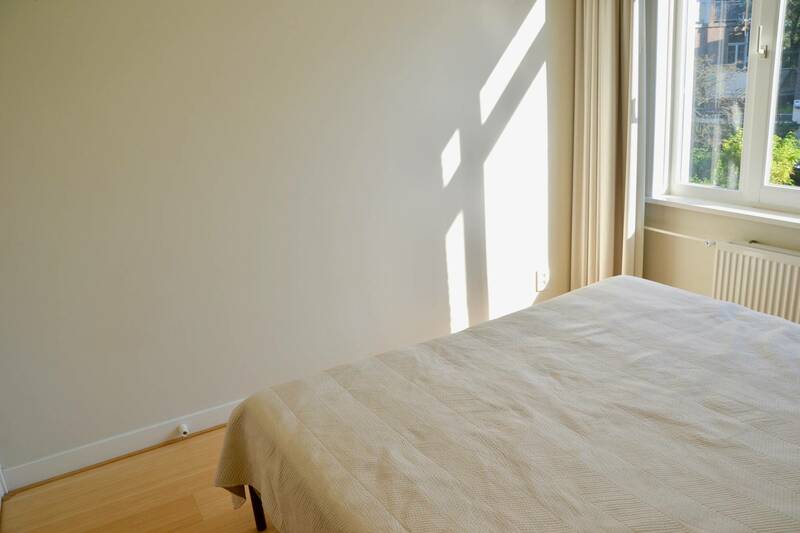 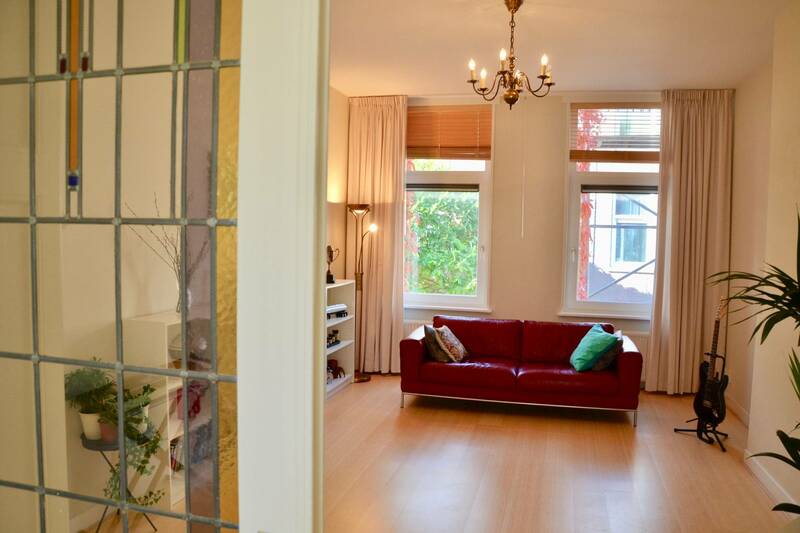 105m2 with fantastic balcony located in the green and peaceful Bloemenbuurt. 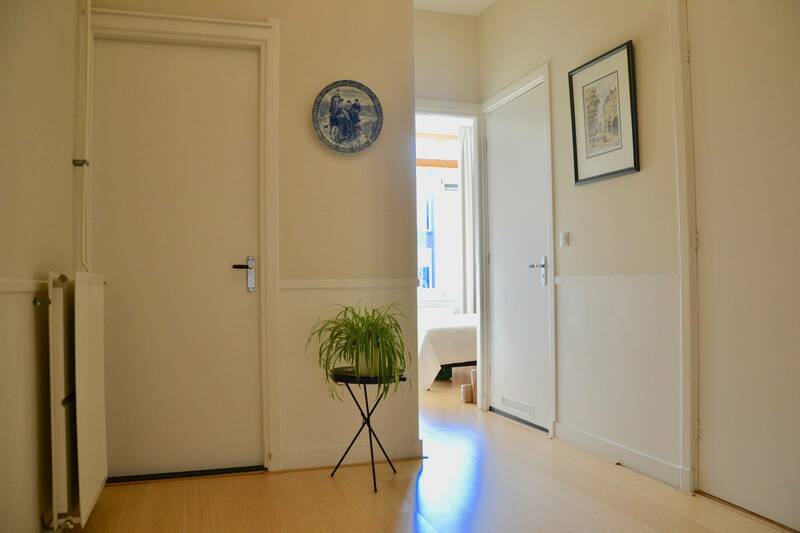 The apartment features an ensuite living and dining room, two spacious bedrooms, separate and modern kitchen with all comforts, renovated bathroom, laminate flooring and high ceilings. 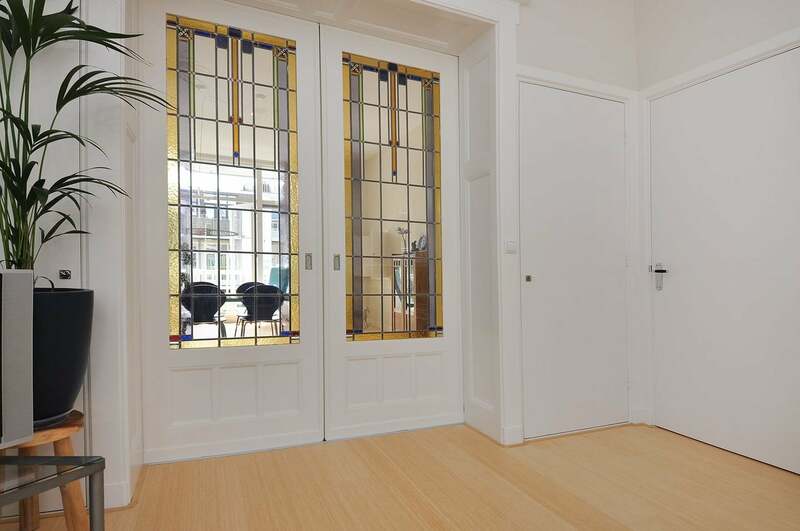 Design elements as new doors throughout meet original features such as the characteristic sliding doors between the living / dining room with colourful stained glass. 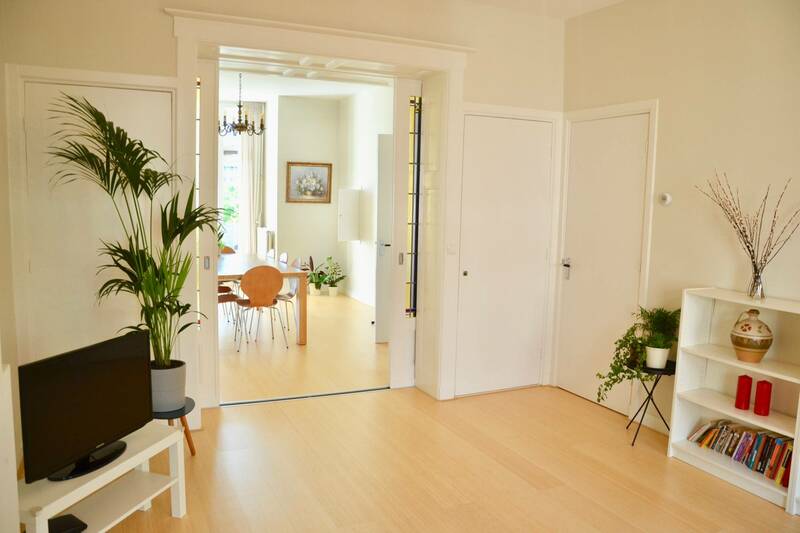 Stairs to the first floor. 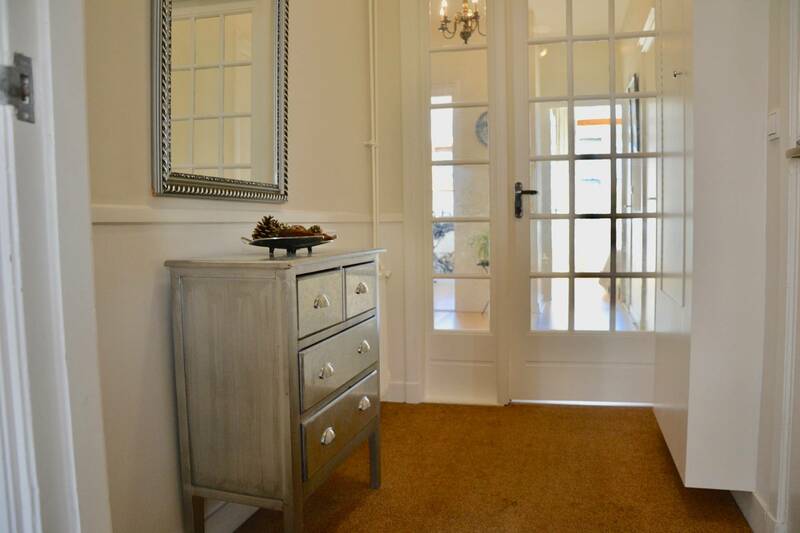 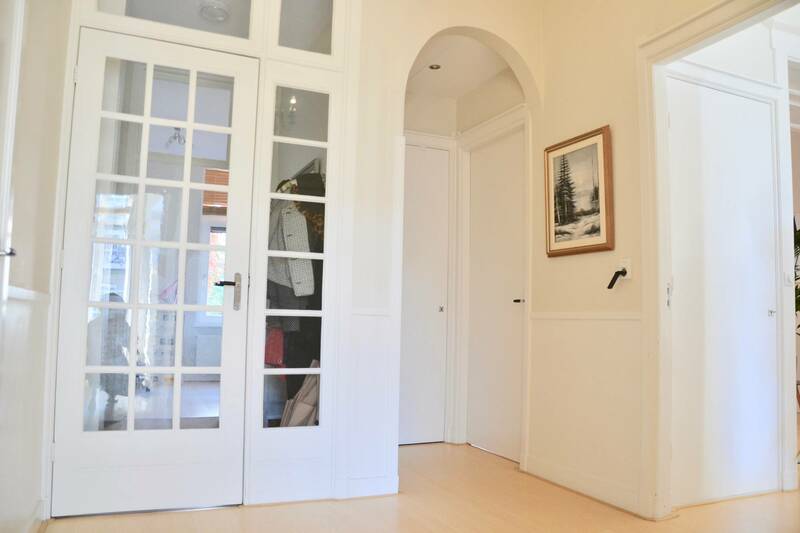 Hallway with beautiful modern, glass doors, with built-in cupboard space giving acces to the living room with ensuite dining room, kitchen, bathroom and two bedrooms. 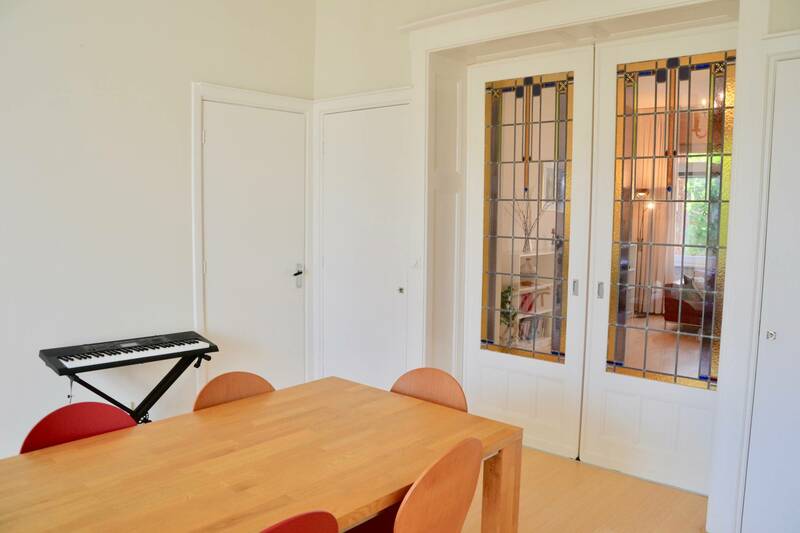 The living and dining room are separated by original and beautiful sliding doors with tainted glass and built-in cupboard space on both sides. 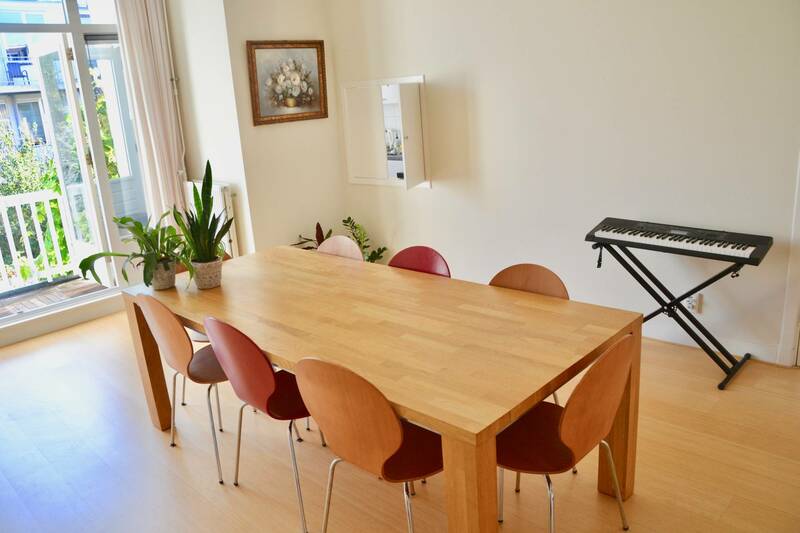 The living / dining room can be closed from each other or used one continuous and luminous space. 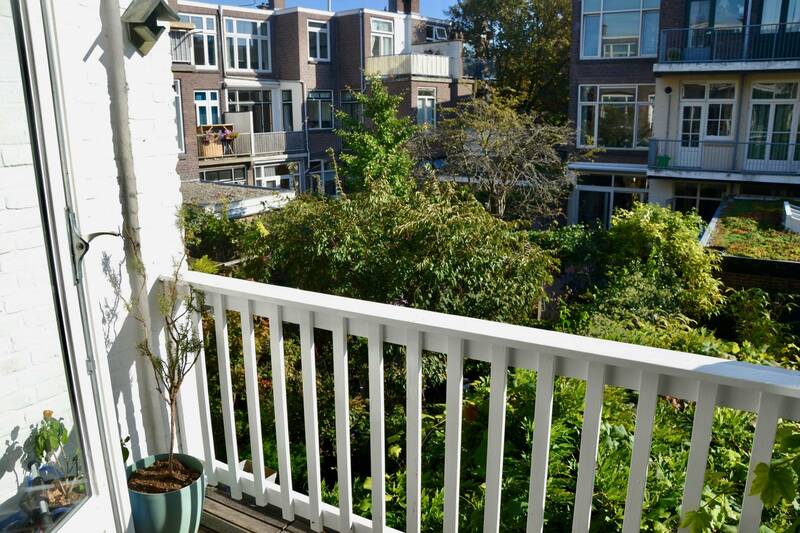 Lovely balcony with wooden decking and railing. 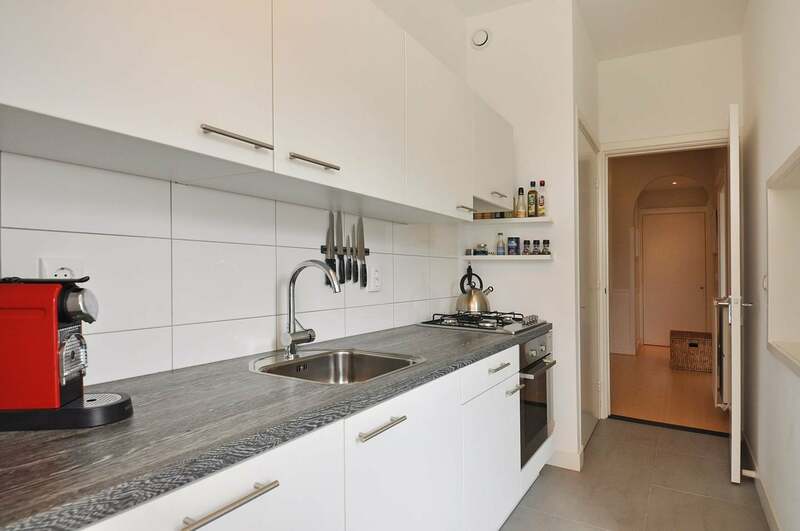 Between the dinging room and kitchen a hand-through window is fitted to create a open concept and easy hand-through space. 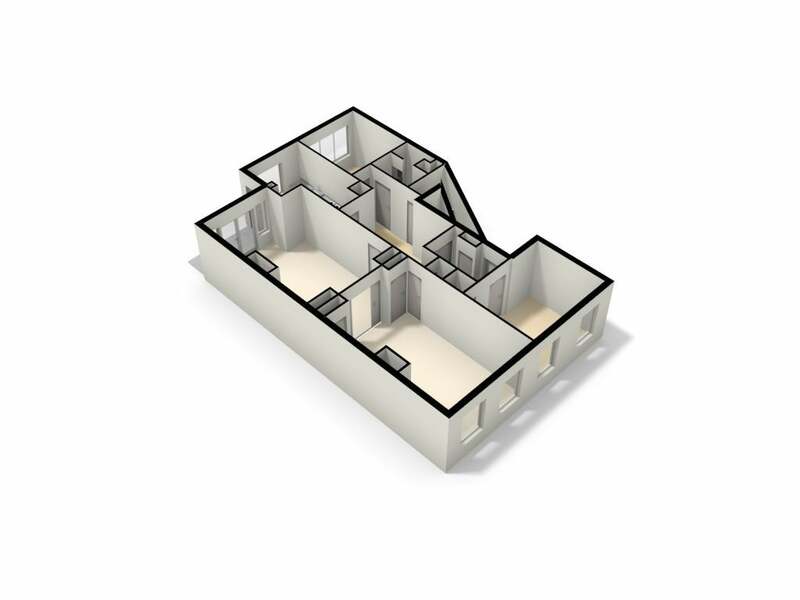 The kitchen is set with all comforts including a built-in stove with oven, dishwasher, fridge / freezer and ample storage space. 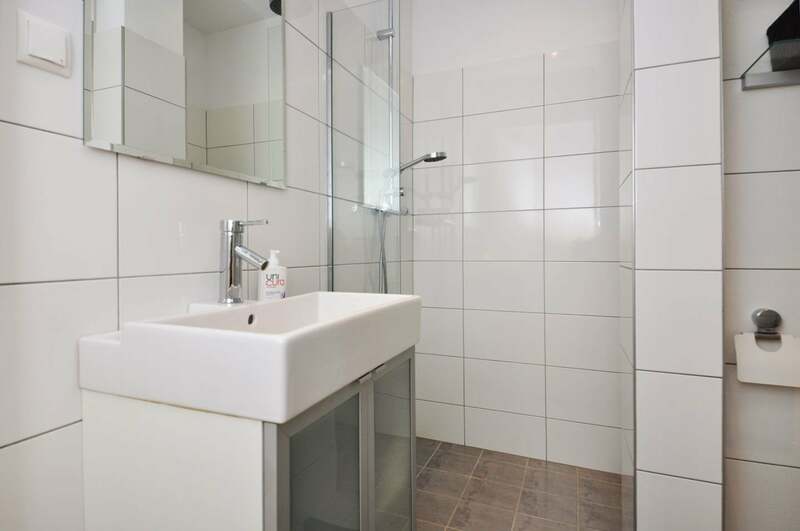 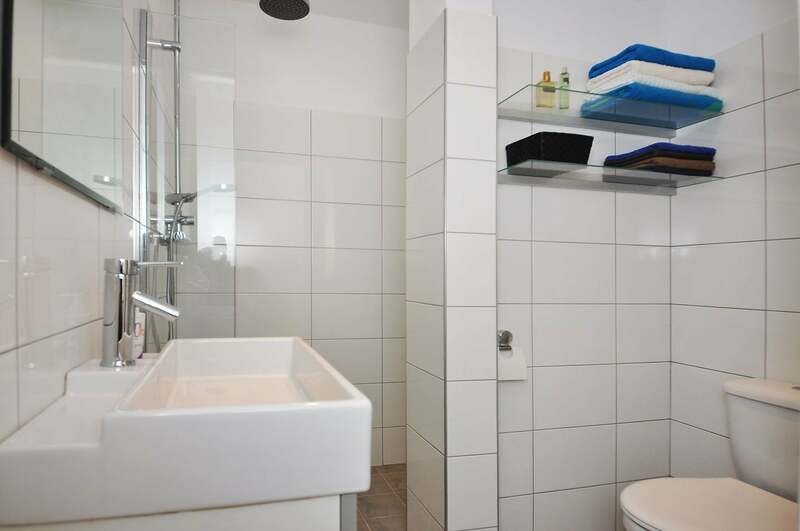 The bathroom features a walk-in shower, washbasin and toiler. 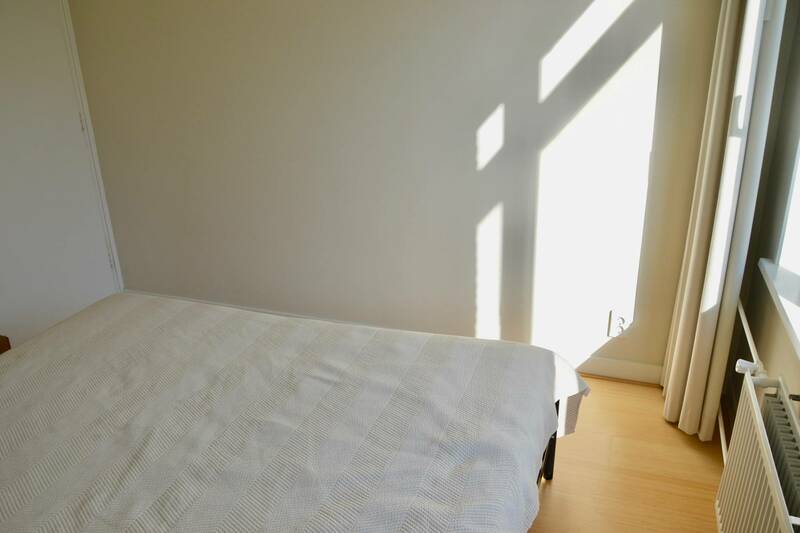 The master and second bedroom both have plenty of space for a double bed and additional furniture and are fitted with large windows. 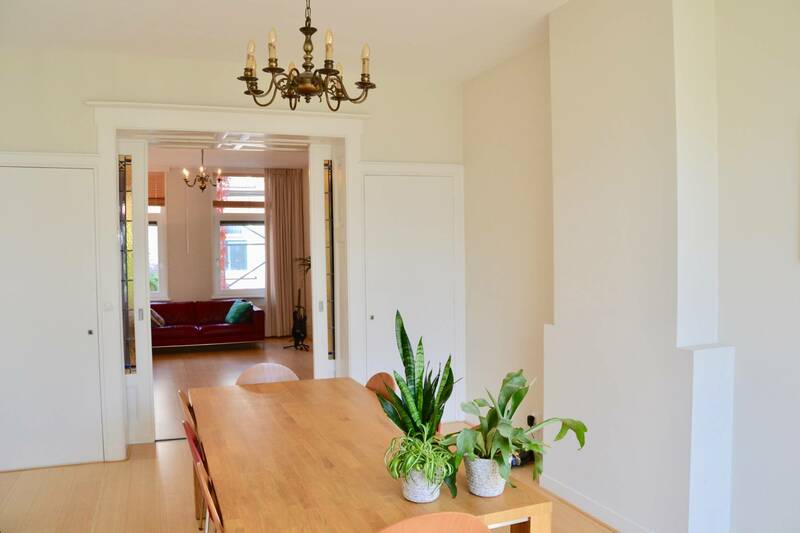 Centrally located in the Bloemenbuurt on the edge of the Bomenbuurt, right next to the popular Statenkwartier and Regentessekwartier. 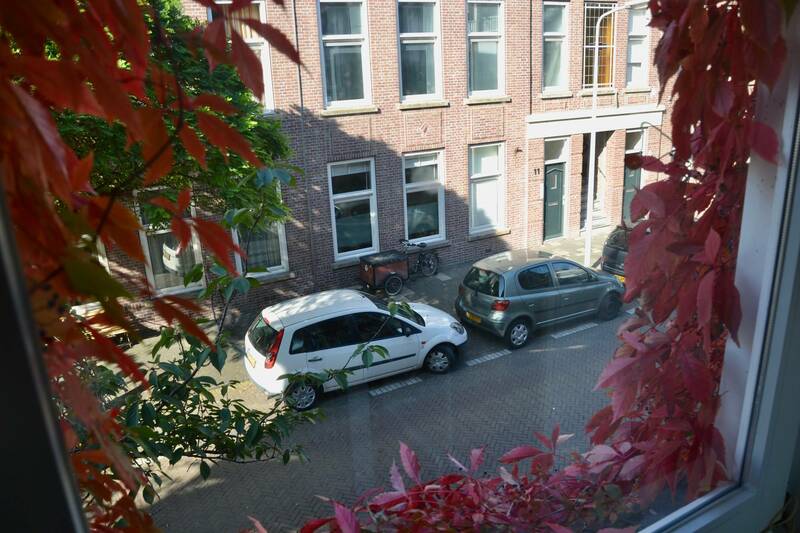 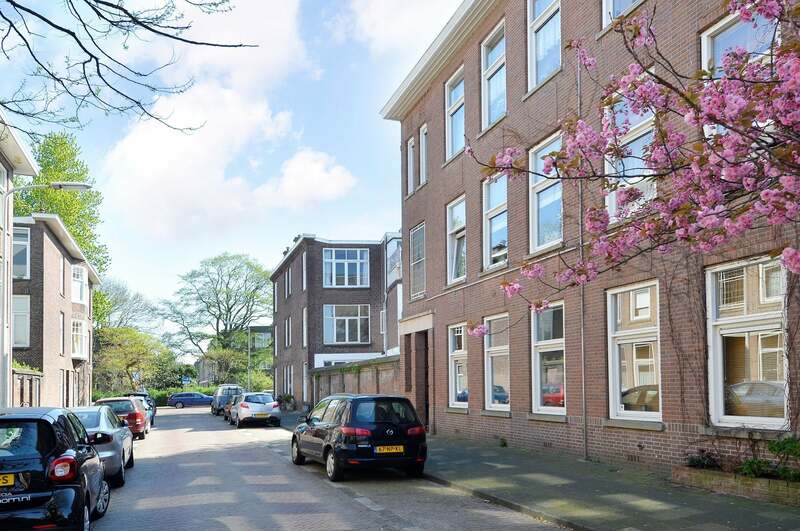 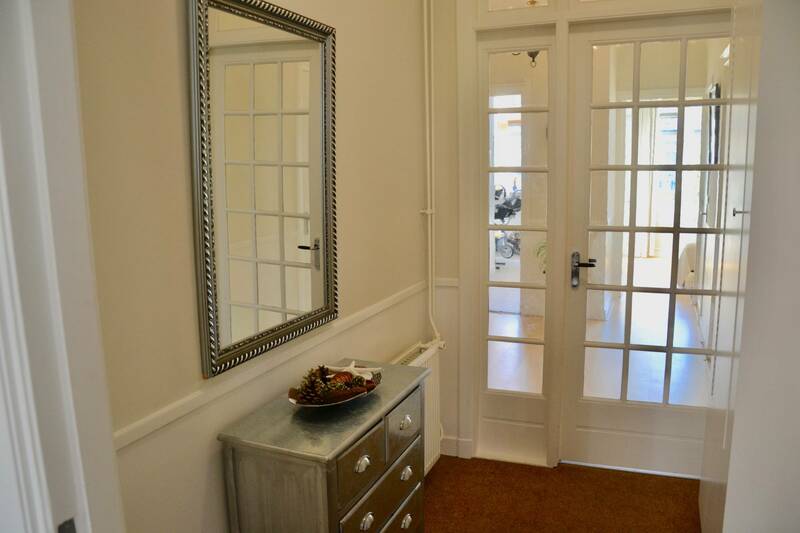 Sneeuwbalstraat is at walking distance to the shopping street Farenheitstraat and Thomsonlaan. 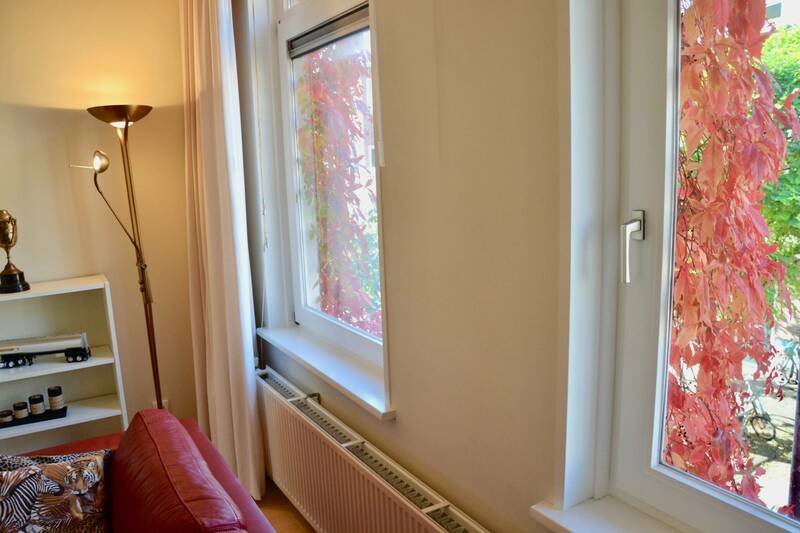 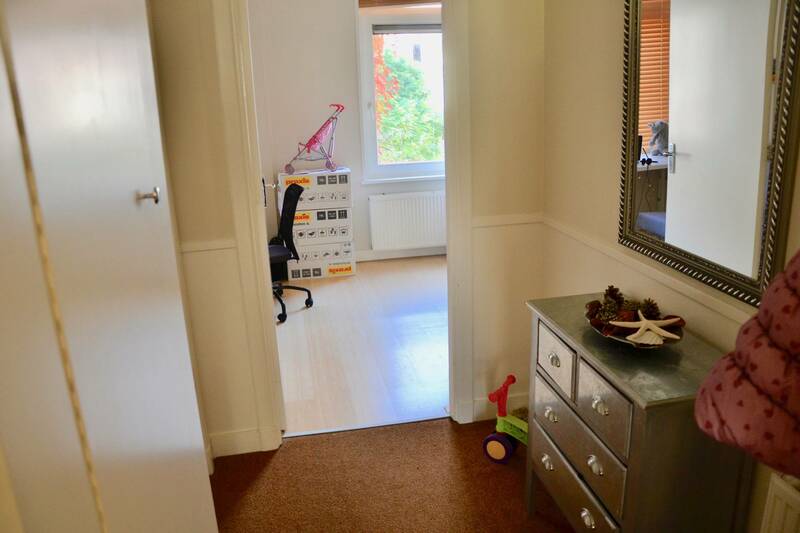 The European school is on walking distance from the apartment, the beach is a 10 minute bike ride away and the city center is roughly 15 minutes by bike. 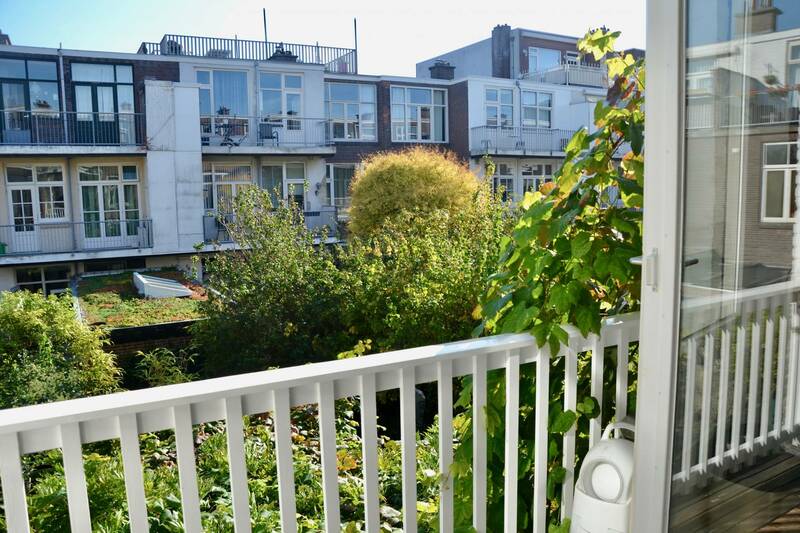 The street is close to tram stops 16, 11 and randstadrail 3, which go both to the beach and the city center/central station direction.